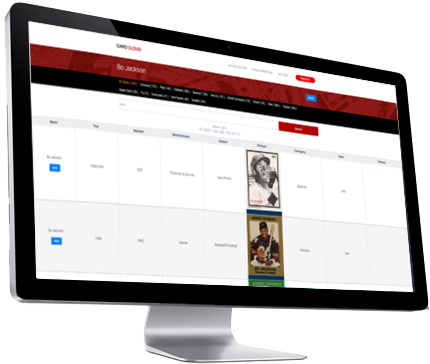 Made for both beginning and advanced collectors, this sports card software can help organize any type of card collection. 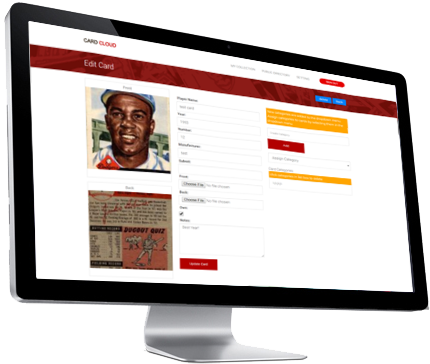 It can also be used to catalog and inventory sports memorabilia. The Card Cloud is the easiest way to organize your card collections online. Provide pic or scanned image of both front and back of card. Add card name, year,	number, manufacturer, subset, and more. View cards by category and/or advanced search options. Manage your collection at the click of a button. Simply fill out the form below and we'll get in touch.